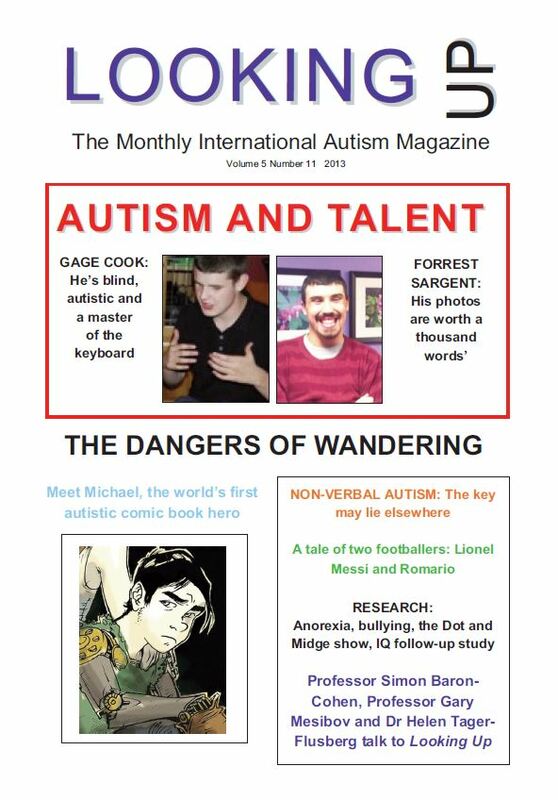 LOOKING UP is a 40-page international magazine devoted to autism. 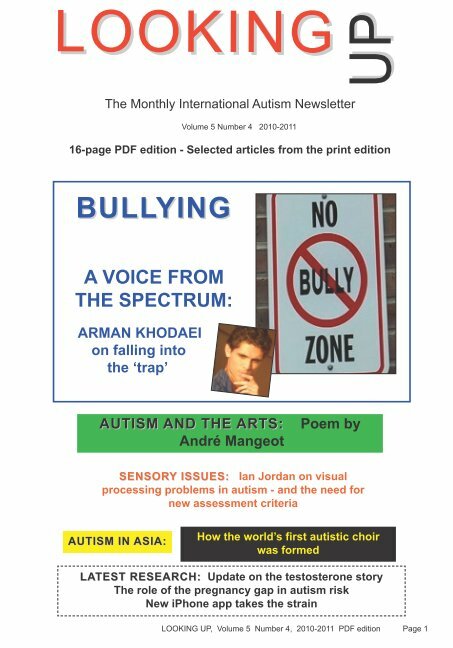 Aimed at parents and professionals alike, it is a lively and informative mix of the very latest findings in autism research from around the world and articles which explore the impact of autism in all areas. 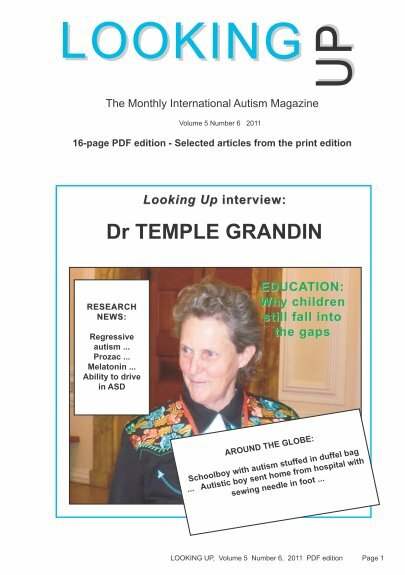 We have access to the most up-to-date material in more than a dozen languages concerning possible causes and treatments of autism, together with the latest educational approaches. 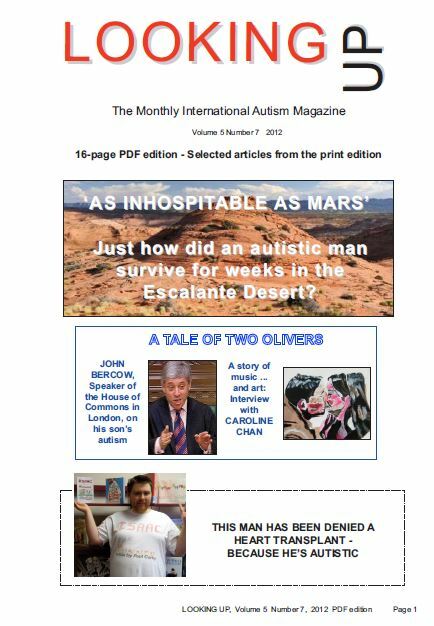 We publish articles relating to autism in the family, school and further education, employment, film and the other arts, politics, sport and society. Dr Temple Grandin, Donna Williams, Wendy Lawson, Stephen Wiltshire and Ros Blackburn. 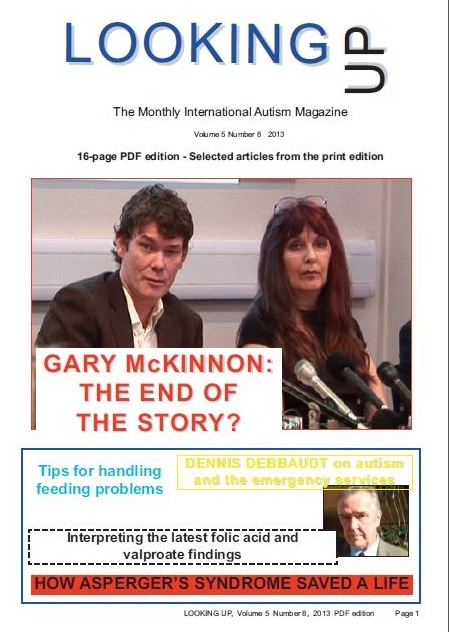 The PDF edition consists of selected articles, with additional colour, from the full 40-page print edition. 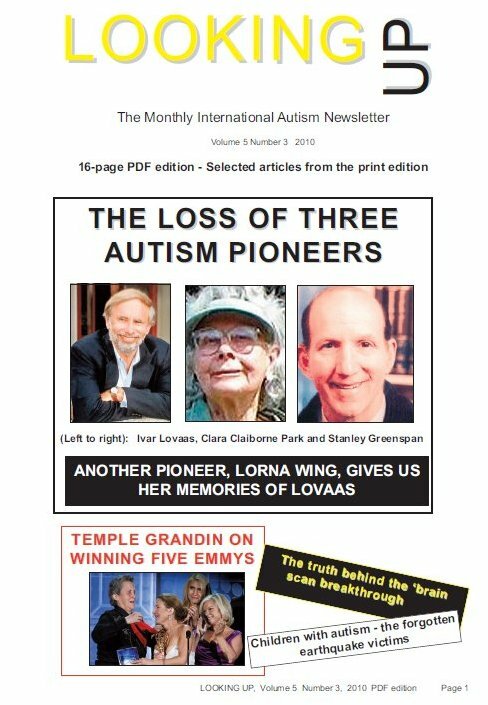 Here is the front cover of the latest 40-page print edition. 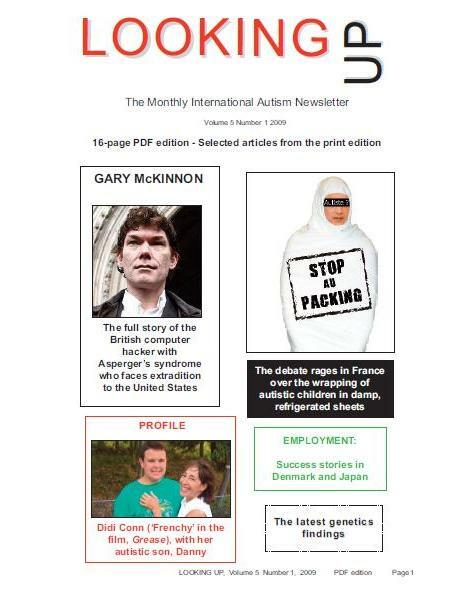 Click on the cover for information about all back issues of the print edition of Looking Up. We have a page of book recommendations by the editor. 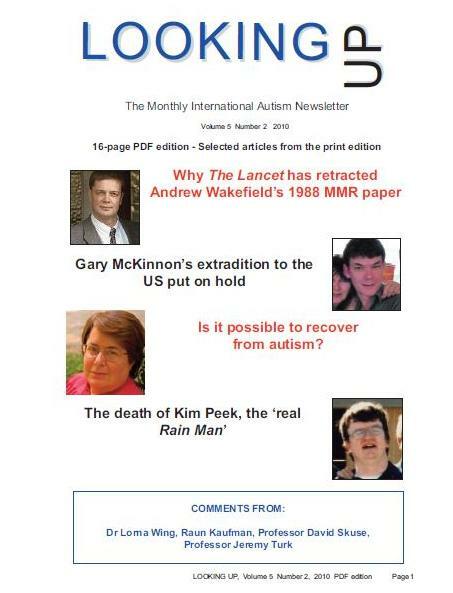 We also have a Google group for news and announcements relating to Looking Up and autism. 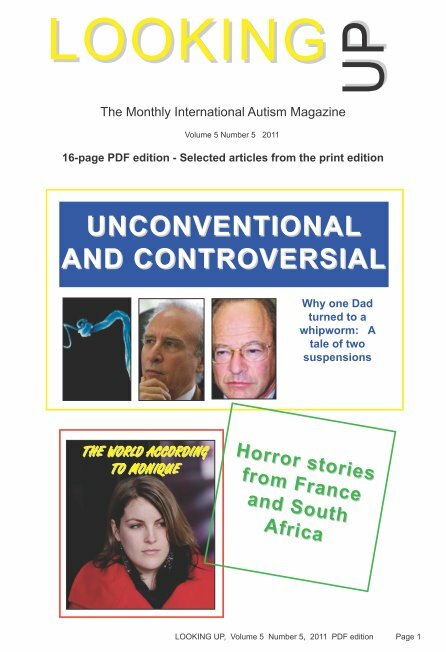 If are interested in subscribing, or wish to order back issues, follow this link to our subscription page. International phone calls at incredibly low rates!